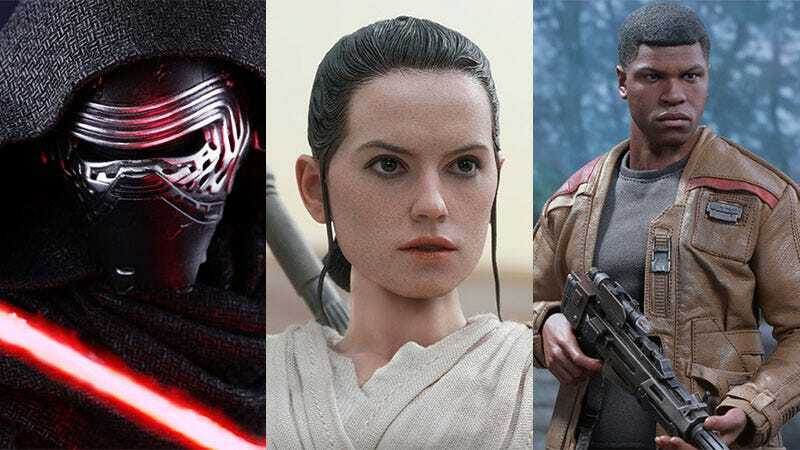 Look At These Force Awakens "Action Figures"
Hot Toys, whose work on comic book movies has been nothing short of inspiring, also have the license to make figures based on the characters in Star Wars: The Force Awakens. They’re so good. There are already a ton of the large, detailed figures announced, from stars like Rey and Finn to Kylo Ren to a whole ton of those badass new Stormtroopers. Before you get too excited, know that if you’ve never bought one of these figures before, they’re pretty expensive (at around 12-inches tall). Most are around the $240 mark, though some of the more deluxe sets (which include multiple figures) are pushing closer to $400. You can check out the full range of figures here.